Angel Energy is always around us. Energy can’t be seen, so to some it may not be noticeable. The more and more you become aware of Angels and their Energy, the more you are able to notice their energy in day to day activities. 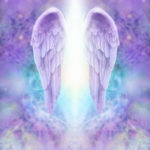 Often times our perceptions can interfere with experiencing this daily Angel Energy. Many believe that interacting with this Divine Energy has certain requirements, such as special talents or skills, perhaps rigorous training, or monk-like behaviors of fasting and meditating. While these all represent aspects of Soul Development, Angel Energy is accessible simply by raising your awareness to Their Divine presence. Angels are helpers and guides, however, they are so polite they cannot help without you asking. They are the first responders to any matter life can bring. What is magical is when you work with the Angels daily, you begin to automatically recognize their prints of love are easily found in your everyday life. Angel Energy is always around us. It comes through books and songs, and is often subtly expressed through the heart of others. 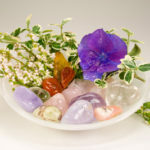 The passion people express in teaching and in doing what they love, sharing their time, energy and talents with the world are all part of the subtle Angelic Energies. The Angels work on so many levels from the core of the earth to Universe’s way beyond our time and understanding. The Angels message is simple. Love. Love energy is healing and holistic. 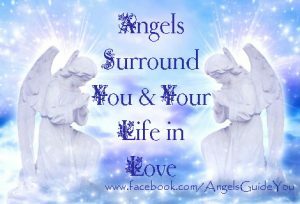 Angels are always with you, always surrounding you. They can help you in any way you need. Your simple task is to ask. You have the power to choose your focus. You literally give your energy to whatever you focus upon. 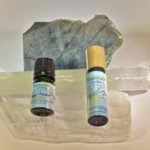 Focusing on Angel Energy helps you bring more Angel Energy into your every day experience. Ask for their assistance in bringing more Angel energy and awareness of their presence in your life. 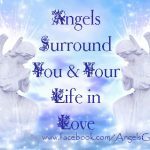 Ask them to teach you and guide you, and to give you personal Angel lessons on how you can tap into the Divine, Powerful, Loving Energy of the Angels. The beautiful message the Angels want to share with you, is when working with Angel Energy, your only tasks are to ask for their help, and then let go and release it completely to their assistance. Allow them do the heavy lifting, and arranging, remembering that they are tuned into Divine Timing and the rhythm to the Universe. Their coordination and arrangements of answering your requests will be more perfect than you can ever imagine. Your true power is found in the energy of allowing.